PsychicVR allows you to control the virtual environment around you through the power of concentration. 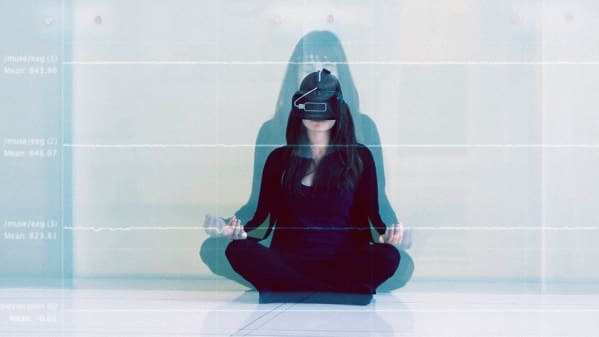 The proof-of-concept system uses a VR headset to improve mindfulness by endowing the user with telekinesis, levitation, X-ray vision, and pyrokinesis which can be activated simply by focusing. The experience is immersive and playful while also increasing mindfulness and giving the user the chance to be a superhero.